In a new study, researchers from the University of Wisconsin-Madison have successfully transplanted, for the first time, stem cell derived neural cells into three monkeys with artificially induced brain damage. 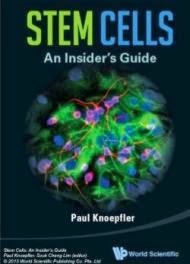 The cells were derived from induced pluripotent stem cells, which in turn were created by autologous skin cells. 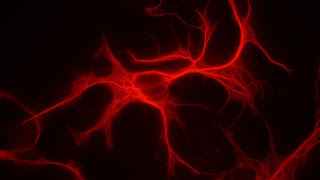 According to the researchers, the neural cells integrated perfectly into the lesions and were only visible because they were previously marked with a fluorescent protein. The study has implications in the field of developing personalised treatments for Parkinson's Disease. The researchers experimented on three rhesus monkeys, with an induced brain lesion. Purpose of the lesion was to create a model that emulated several Parkinson's related symptoms including slight tremors and bradykinesia. The scientists then took skin samples from each monkey and derived induced pluripotent stem cells (iPSCs) from them. Then, they differentiated these cells into neural stem cells. Finally, the neural stem cells were surgically implanted, with the help of MRI, to the monkeys with the hope to further differentiate into specialised neurons, replacing the damaged ones. As aforementioned, the transplanted cells mixed perfectly with the surrounding environment and macroscopically were indistinguishable from the original cells. Su-Chun Zhang, senior author of the study, said that there would be virtually no way to distinguish them if it wasn't for the fluorescent marker. Additionally, the transplanted cells showed no signs of immune response (rejection), as they were derived from the monkey's own cells. Marina Emborg, the study's leading author added that, at least to her knowledge, this is the only study in a primate model "that the transplanted cells were so well integrated". Reportedly, none of the monkeys showed any signs of cancer activity, a common fear associated with experimental stem cell therapies. It should be mentioned that the researchers transplanted only a small number of neural stem cells and this is why, they say, the monkeys showed no functional improvement. The researchers believe that their study is an important step towards the creation of personalised stem cell therapies for Parkinson's and other diseases, warning however that there is a still long way to go before any human clinical applications. Several issues need to be addressed first, mainly regarding the treatment's safety and efficacy, as both the follow up period and the sample size are too small to get any definitive results. Difficulty with walking and gait.